Located in the east of England, Bury St Edmunds is a market town in Suffolk. It has a population of around 40,000, and a good selection of housing ranging from cosy terraces to spacious detached homes. At My Home Move Conveyancing we have been improving our knowledge of local property markets like Bury St Edmunds since 2001, enabling us to bring our clients in the area a specialist, fixed fee conveyancing service. When buying or selling property in Bury St Edmunds, you need to instruct property lawyers to carry out the legal work on your behalf. 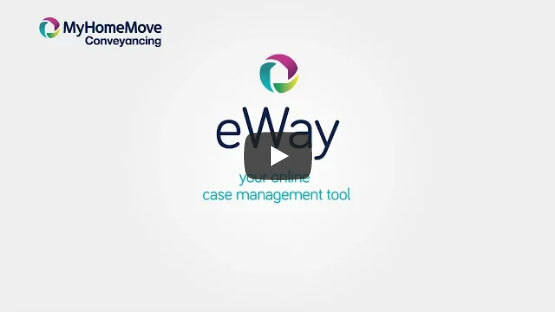 My Home Move Conveyancing offers our clients in Bury St Edmunds an award winning level of customer service, innovative use of technology and intimate knowledge of the local market. Our professional, friendly conveyancing service comes with no hidden extra costs to worry about, so you can budget for exactly how much you’re going to pay from the outset when we act as your Bury St Edmunds conveyancers. And, if you don’t end up completing, you won’t have to pay us a thing. We’ll assign you a dedicated conveyancer who will take care of all aspects of your case from start to finish, providing you with a consistent point of contact and regular progress updates. At My Home Move Conveyancing we have offered our conveyancing services in Bury St Edmunds to assist in the purchase of a variety of homes across the area, including in the town centre, near Bury St Edmunds Golf Club and by the River Lark which flows through the east of town. The average house price in St Edmundsbury is £274,451, while the overall average sale price over the past 12 months in Bury St Edmunds was £269,883. Most sales involved terraces, which went for £256,370, while detached properties fetched £376,678 and semis £266,236. Bury St Edmunds is a town with plenty of history which stretches back many centuries, with the famous Bury St Edmunds Abbey central to much of this. These days a couple of well-known names call the town home, the Greene King brewery and Silver Spoon sugar. With plenty to explore in the local area, including beautiful countryside in places such as Thetford Forest Park, Bury St Edmunds is a popular place for tourists as well as residents. Due to its rural location, the town doesn’t have the best transport links for getting to other parts of the country. A network of decent A roads links Bury St Edmunds to other spots in the local region, with Ipswich around half an hour away by both road and rail, and another ten minutes or so to Cambridge. Stansted Airport is the closet major airport to town, which is 50 miles away and just over an hour’s journey on the train. Bury St Edmunds is going through a process of phasing out its three-tiered education system, but there are still some excellent schools in the area for families with children to consider. Options for younger children include Ixworth Middle School, Westley Middle School and Sebert Wood Primary. St. Benedict’s Catholic School, King Edward VI CofE and Bury St Edmunds County Upper School are among the choices for older students. All properties in Bury St Edmunds will fall within one of the following council tax bands.